Posted on Monday, May 14th, 2018 at 5:30 am. Since starting blogging over 5 years ago, I have found that one of the most rewarding and successful experiences involved working with other bloggers. I’ve had the immense privilege of connecting with bloggers from all kinds of sub-niches to the pet industry through a wide variety of different collaborations. It recently occurred to me that when I first started blogging, it wasn’t always so easy to understand both how I could and why I should collaborate with other bloggers in the pet space. I’m going to let you in on a little secret. Though many of us write similar content and want to work with similar brands, we can actually learn and grow better and faster by working together rather than trying to compete. Don’t believe me? That’s okay I’ve broken it down into seven reasons you should do so. Probably one of the biggest appeals of working with another blogger is that you can increase your potential audience size by pooling together. Though we all write in the pet space, we each have different followers and readership. When you are looking to pair with another blogger, try to look for someone with a similar size following and a related blog focus, so you can both benefit. If your following isn’t as big, don’t worry. Think about what other skills you have to offer and present those instead. Combining audiences of two or blogs in a multi-blogger event will increase the number of eyes that will potentially see the content you create. This is huge if you want to bring on a brand as a sponsor. The more potential eyes, the more value they will see in providing prizes or other necessary support to the event. A bigger audience will also lead to increased engagement for the content you individually produce. If you are looking to work with brands on sponsored content outside of multi-blogger events, engagement rate is also huge! Anytime you throw several smart and dedicated people into a room (or in this case a “virtual room”), you are likely to come out with some amazing new ideas. When you have a blogging partner, you can talk out all your thoughts and concerns about how things are going for you. While it’s great to talk to friends and family who don’t blog, sometimes they just can’t relate or see the vision. (I know my boyfriend can only take so much “blog talk!”) My blogging partners have helped me figure out the direction of my blog as well as come up with some fun post ideas. Everyone has a different experience and expertise. Partnering with another blogger can introduce you to new techniques, tools, and tips. I love being able to share the things that work for me and discussing those that didn’t. Change and new ideas can be a bit scary, but what is scary is a lot easier to try when you have someone with experience cheering you on. Personally, I’ve been encouraged to try out social media tools and even entirely new networks. It’s not as scary if we are all in it together! There are so many different facets to blogging that it’s nearly impossible for us to be good at them all. Recognize your strengths and weaknesses. If you can find a blogging partner that compliments you and offers a different skill set, then you’ve hit the jackpot! The combination of your skills will help your collaboration be successful and it will also allow you a great venue to ask questions and learn about what you don’t already know. In anything that you do, it is so important to find a trusted group of people to surround yourself with. 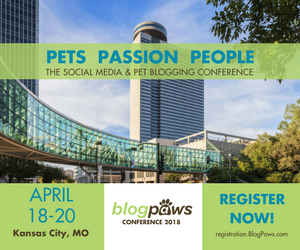 I’ve been blessed since joining the BlogPaws community to find a group of people who I not only consider co-workers, but also friends and even family. Let’s face it. As bloggers and social media influencers, we live a large portion of our lives online. I value every single IRL friend I have so much, but having a group of people who know and understand what I do is absolutely incredible. If things in life aren’t going great or if my site suddenly undergoes a spam comment attack (true story), it is reassuring to know I have someone who can talk me through it and convince me to not just throw my laptop out a window. Guess where those relationships all started… You got it! They all started with a blogging related collaboration. When you work for yourself, it can be so challenging to keep yourself on schedule. If you don’t have anyone to answer to besides yourself, it can be impossible to set deadlines that you actually meet. It didn’t take me too long to figure out that having someone else even ask me what my goals were and how I was progressing with them, actually made me get stuff done. Working on a group project where someone else depends on you is a great way to set meaningful deadlines. If you find someone you work well with and trust (see above), you might want to also consider setting up regular accountability meetings or phone calls to help encourage both of you to meet deadlines and reach your goals. When you are considering collaborating with another blogger, be sure to discuss expectations and responsibilities upfront. 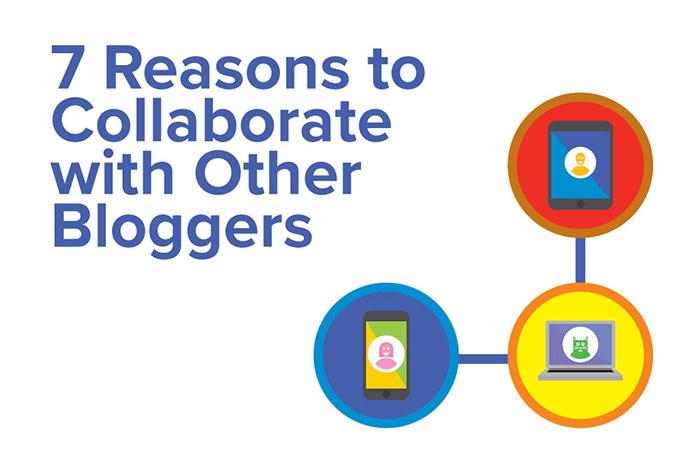 You may also find that different types of collaborations may work best for you and your new blogging partners. Jessica Shipman is a bargain hunter, food lover, and software engineer figuring out how to be a pet parent for the first time. She shares her journey with her two dogs Ralph and Luna on her blog Beagles & Bargains. After getting an Ivy League degree and hands on experience on a corporate web development team, Jessica has decided to change things up. She launched jessicashipman.com to make web technology easy and more accessible to bloggers and small business owners. Stop by for free tips or to learn more about her web development consulting.